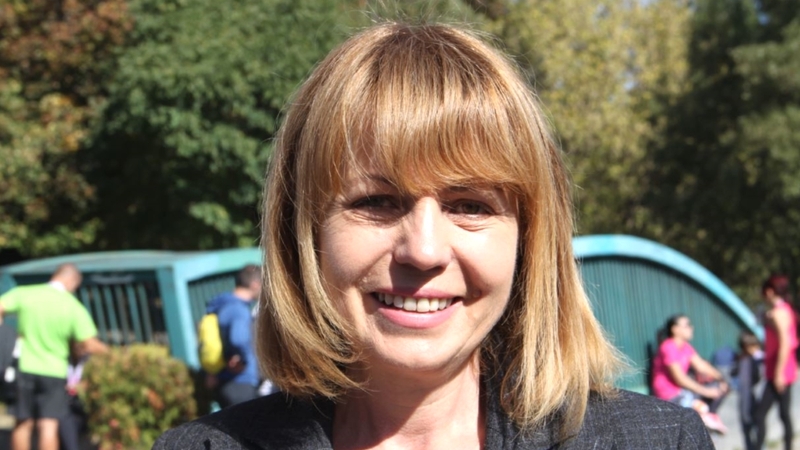 While many Bulgarians, those who can afford it, are eating mussels at the Black Sea coast, someone in Sofia is working really hard: Mayor Yordanka Fandakova is in the process of having the Bulgarian capital dug over. These days, Sofia Municipality is announcing one milestone after another. Many Sofia residents are sitting on sunbeds at Greek beaches, pouring ouzo down their throats. Most of them to not have the faintest clue what is going on in their home city. Why would they? Construction projects in Sofia are the last things they want to hear about in summer. But they will benefit from all the action once they return home. As early as today, on Monday morning, construction workers will rip open Boulevard Pencho Slavejkov, in order to facilitate the ongoing construction of the third metro line. While they are at it, they will renovate a big stretch of that street, from the intersection with Boulevard Praga to the one with Boulevard Vitosha. Traffic will be hampered. That is exactly why they are doing this in summer. Boulevard Vassil Levski does not look like a Greek Beach either. And it does not smell like salty seawater, but actually stinks of melted tar. That is because Mayor Fandakova and her team are having that one fixed too, as we speak. The traffic is being squeezed through two open lanes. As a result, those poor trolley bus drivers on lines 1, 2, 4 and 9 need to ignite their tiny emergency Diesel engines before passing the construction site, since their electric connectors are not long enough. But this mess should be gone by the time school starts in September. The only bottlenecks vacationers on those beaches in Halkidiki have to deal with are part of their “Corona” beer bottles. In Sofia, on the other hand, there are quite a few bottlenecks on streets. They drive residents crazy. One of them used to be on Boulevard Todor Kableshkov, at the intersection with Boulevard Czar Boris III. But this week, on Thursday, July 19th, 2018, Boulevard Kableshkov will be opened for traffic (its western end), with new surfaces, street lighting and even sewers. The whole package. There is more: The future has now officially made its way to Sofia. While Bulgarian vacationers are lubricating each other’s backs with sunscreen next to hotel pools in Dubrovnik, Bordeaux, Pattaya Beach and Varadero, Sofia Municipality just introduced electronic day and night tickets for all public transport lines. They can be purchased by SMS. So far, this applies to A1 customers (formerly Mtel). Other mobile operators will follow. Affluent holidaymakers from Sofia are busy gaining weight by consuming schnitzel, t-bone steaks, French fries and other treats in restaurants all over the continent and beyond. But not Mayor Yordanka Fandakova. Of her one million projects, the metro construction is the biggest one by far. At this stage, the huge tunnel machine which is eating through all the mud underneath the city, at a rate of 15 to 20 meters per day, is located right under Boulevard Patriarch Ephtimi. In the meantime, the first new metro train for the third line was already delivered (read separate article).